Spider mites damage plants by sucking the juices from them, causing the leaves to yellow, dry and fall off. In addition, fruiting plants that are infested with spider mites don’t yield as much fruit, and the fruit they do produce is smaller. Fortunately, some essential oils have the ability to deter or kill spider mites. Effective oils include lemon, eucalyptus, pennyroyal, peppermint, and rosemary. Essential oils don’t pose the same health risks to people and other animals that conventional pesticides pose. 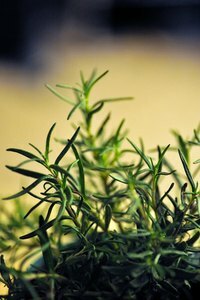 The chemical structure of certain herbs like rosemary, peppermint and thyme lets the extracts easily enter the brains of spider mites and other bugs. Once in the brain, the oils interfere with it either by blocking certain molecules or over-stimulating them. High doses of some oils can even destroy an insect’s nervous system, according to entomologist Murray Isman from the University of British Columbia. People and other animals don’t have the same molecules in their brains, so the extracts don’t harm them. In addition, insects don’t seem to develop a tolerance to the chemicals found in essential oils, and essential oils are kinder to the environment than traditional pesticides are. Because essential oils are already widely used as fragrances and flavorings throughout the world, many are relatively inexpensive to purchase. Essential oils have the potential to injure some plants, which may make them undesirable to some gardeners. Plant damage may result from the active ingredients in the oils, but it can also result from other ingredients mixed with the oils, impurities in the water, poorly mixed formulations, or use of excess essential oil. Plant injury may be cosmetic, rather than life threatening. To deter spider mites, professional aromatherapist Cher Kore recommends mixing one or two drops of essential oil with 1 teaspoon of unscented castile soap and about 6 ounces of water in a spray bottle. Shake and spray over the plant. You can also apply a few drops of essential oil to garden ornaments and other spots, she says, but don’t apply pure oil directly to plants. Planting dill near lettuce, cabbage, onions, sweet corn and cucumbers will help keep spider mites away from those crops. Planting cilantro or coriander near spinach, anise or caraway will help deter spider mites from those plants as well. You can also make a tea from coriander and spray it on your plants to treat plants that are already infected.